Garment dyeing is the process of dyeing fully fashioned garments subsequent to manufacturing, as opposed to the conventional method of manufacturing garments from pre-dyed fabrics. Woven and knitted fabrics manufactured from prepared fabrics and then dyed with the method of garments dyeing. 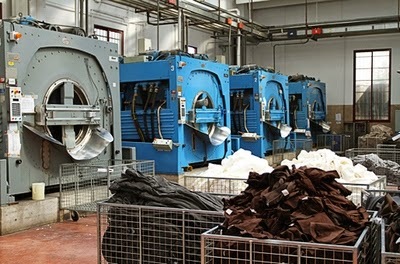 This method is the best process of the dyeing of goods. However, the penetration of the dye solution may not be completely passed to the fibers such as between the seams, buttons, zippers etc. Normally, it is used for lingerie, socks, sweater dyeing etc.